Daylio enables you to keep a private journal without having to type a single line. 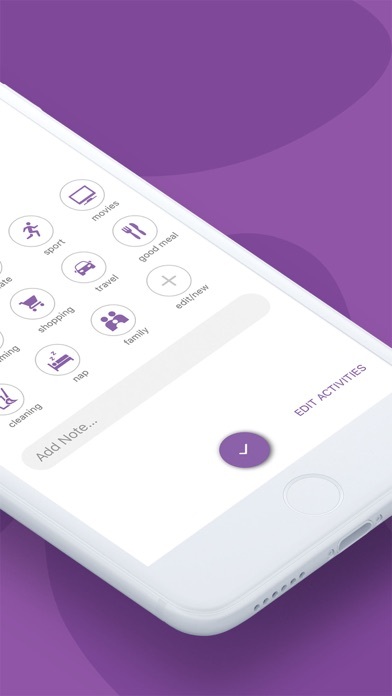 Try this beautifully designed micro-diary app right now for FREE! 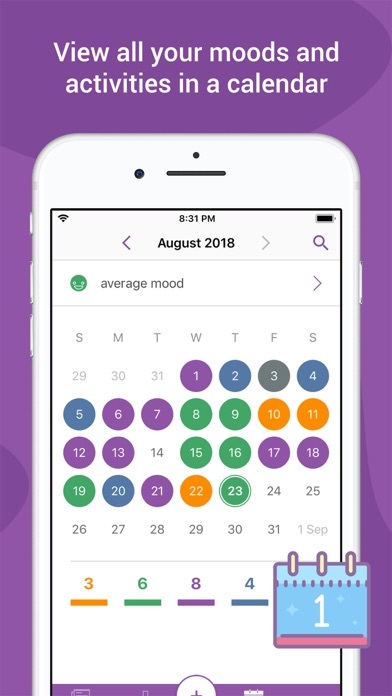 Pick your mood and add activities you have been doing during the day. You can also add notes and keep an old school diary. 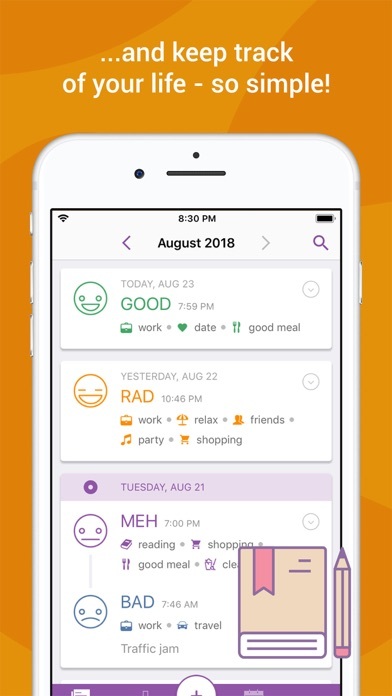 Daylio is collecting recorded moods and activities in the statistics and calendar. This format will help you to understand your habits better. 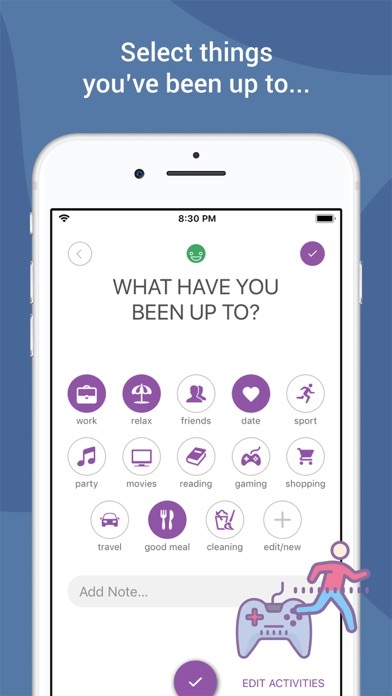 Keep track of your activities and create patterns to become more productive! You can review all entries in the statistics on charts or the calendar. To make it even better Daylio allows you: - Use a big database of beautiful icons for your personalized activities and moods - Explore interesting statistics about your moods and activities on monthly or yearly charts - Customize the names of moods - Set reminders and never forget to create a memory - Turn on PIN lock and keep your entries safe - Write notes - Select colors that reflect your moods Journaling has never been easier! 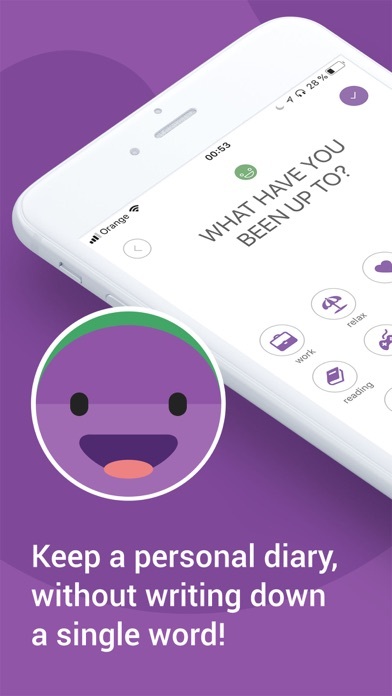 This app has helped quite a lot with my mental illnesses. EDIT: They finally brought the color schemes! 5/5 I even paid for the full version. 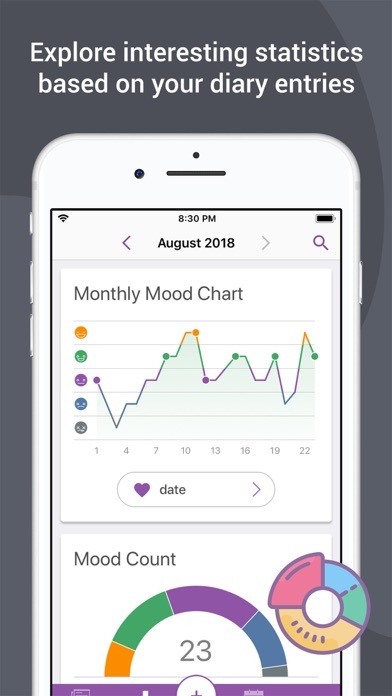 Amazing app I’m using after starting some medication a few months ago. The only negative thing about it, is that you can’t change the color schemes like you can on android. 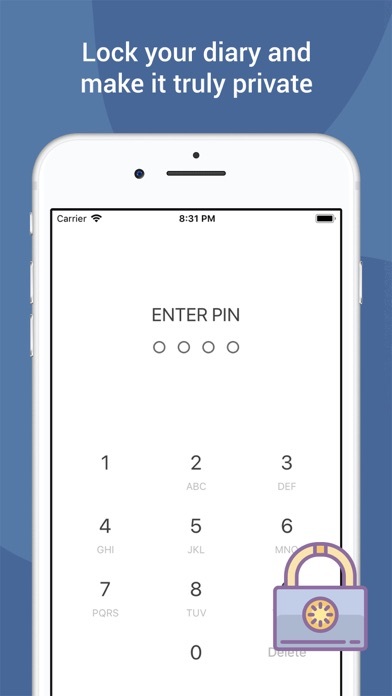 Hoping that comes to iOS soon!! 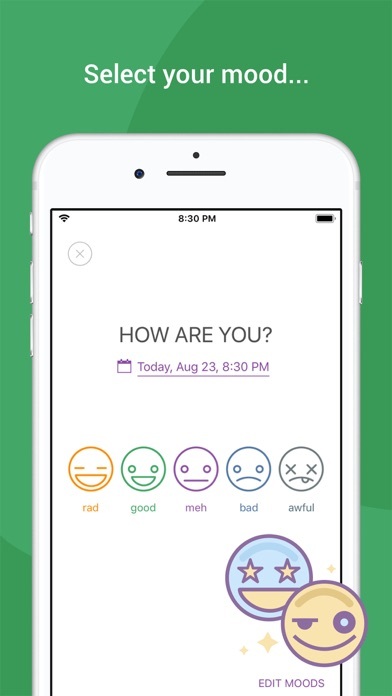 Other than that, amazingly helpful to track moods and be more aware of how you are spending your days. Great diary for all my feelings. I feel like I can tell it everything. Your website has no help or report feature. My friend has android and I have apple; we both pay the premium for options. She can categorize her activities, etc and I can’t change the category or create categories; only activities under your preset categories. I’ve searched for an hour for a way to contact you. Nothing. Please help. It’s like a nice little diary that I can keep up with and I can know my improvement or downgrade! this is truly one of my favorite apps. I love having a space where I can let go of my problems from the day and where I can leave my amazing memories for future reminiscing.